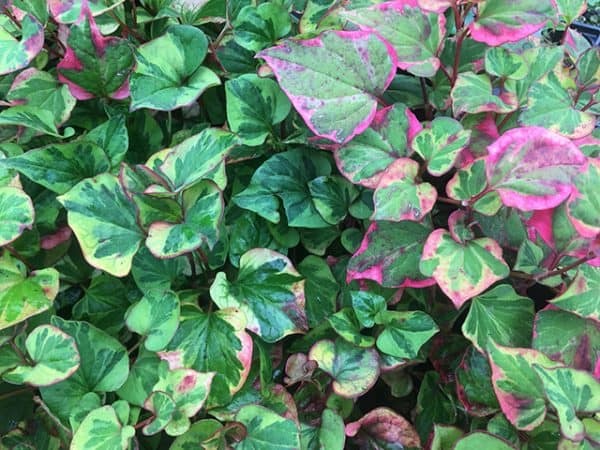 Houttuynia cordata (Orange peel plant) ‘Chameleon’ is an attractive foliage plant with heart-shaped orange-scented leaves which are green with splashes of red, yellow and pink. 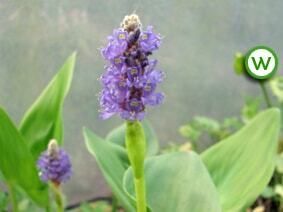 Lighter and less subdued than the ‘Boo Boo’, it produces pretty white flower spikes from July to September. The foliage is at its best between May-October. Very vigorous so trim back roots around the basket to control its spread in water: it will raft across the water so is a good plant for shallow pond margins and will help to keep the water clear. Form: 9cm pots or 1 litre in an aquatic basket -please select size from “Size” box below.